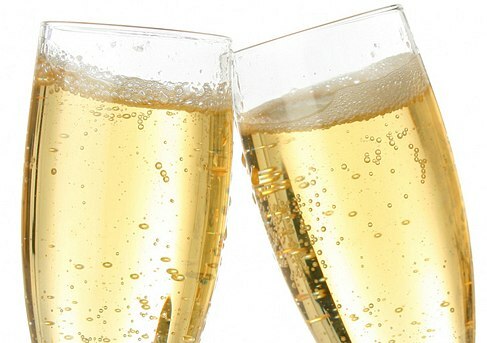 If you enjoy Champagne, you may want to know that October 19 is Global Champagne Day. TWB at Provence Marinaside is celebrating with Champagne of course. Here are the details. Where better to celebrate Global Champagne Day than at TWB –The Wine Bar and Provence Marinaside where they have 35 different bubbles on their wine list including 17 French champagnes. Prices for bottles range from $45 – $1,750. If a bottle seems like too much of a good thing, you can always indulge your champagne passion with a glass or two. TWB has the largest selection of bubbles by the glass (35) including 17 French champagnes ranging from $28 for glass of Marie Demets Tradition Brut to $110 for the Louis Roederer Cristal if you are feeling very extravagant. Of course there are always non-champagne bubble options starting from $8 a glass./$45 bottle. In honour of Global Champagne Day, TWB and Provence Marinaside will be offering 25 percent off all bubbles (both glasses and bottles) on Friday, October 19. If you can’t make it in, they’ll be offering the same discount for their regular Sparkling Saturday the following day. “Everything is better with bubbles… life itself feels a little brighter when you’re sipping something sparkling. It’s going to be a lot of fun offering so many selections to our guests. Our wonderful patio, the view over-looking the Marina, and a glass of bubbles, is just about perfect when it comes to making your day exceptional,” concludes Carlson. And don’t forget, Provence’s special three-course Taste of Yaletown menu starts this Thursday, giving you another tasty reason to drop by. Whether you are in a celebratory mood, need a pick-me-up, or looking to unwind after work, TWB-The Wine Bar and next door Provence Marinaside have you covered this coming weekend. Ancora Waterfront Dining Candlelight Champagne Dinner! Vancouver, B.C. (September 14, 2016): Join Ancora Waterfront Dining and Patio for an intimate dining event this October, where guests will gather at the scenic waterfront location to experience a carefully curated selection of Moët & Chandon Champagnes paired with an exclusive five-course menu crafted by Executive Chef Ricardo Valverde. Lauded as one of the top seafood restaurants in Vancouver, Ancora has wowed visitors and locals alike with its dynamic fusion cuisine that highlights West Coast seafood with Peruvian-Japanese accents. After a spectacular first year and range of awards – including being named among Canada’s 100 Best Restaurants and a recent nomination as one of Canada’s Best New Restaurants by enRoute magazine – Ancora has plenty of reasons to celebrate and, true to form, will do so with one of the world’s finest Champagne houses. The glamorous anniversary dinner takes place on Wednesday, October 5, and begins at 6pm with a Champagne tower reception, followed by a communal-style dinner at the restaurant’s sleek long table. Led by hosts General Manager Andrea Vescovi, Restaurant Manager Kane Morgan and a Moët-Hennessy brand ambassador, guests will enjoy a selection of top Moët & Chandon bubbles (ranging from Dom Perignon to Moët Rosé Impérial), perfectly paired with Chef Valverde’s five vibrant courses. The 40-person dinner begins at 6pm sharp. Tickets are $200 per person (plus tax and gratuity), and include all food and wine pairings. To book, email info@ancoradining.com or call604.681.1164. Mothers have a hard job. And having 1 day a year to celebrate her daily toil hardly covers how much she should be appreciated. So I’d like to suggest both roses and rose wine for this special day, and any other day you want to show your appreciation. How many roses should you give? 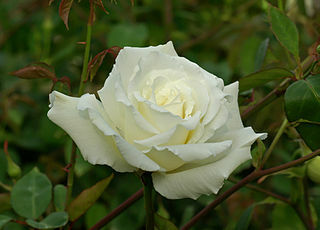 That’s a bit subjective, but 1 rose shows your devotion and 6 roses signify a need to be loved or cherished. If you give 2 roses, that means you want to marry that person. Maybe you would like to buy 1 rose for each year you have been together? Champagne Lallier Rose, NV, France. If your mother, wife or significant other enjoys bubbles, here is one to please. Very pale pinkish orange colour. Light strawberry nose. Bigger bubble, with strawberry and red cherry flavour. 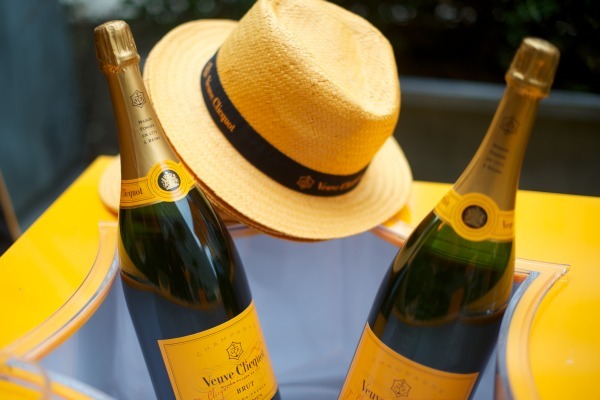 You can never go wrong with Champagne. Domaine Chandon Brut Rose, NV, France. A sparkling rose that will treat your tastebuds. Light orangey cherry in colour. Lees and strawberries on the nose. Lots of light small bubbles in the glass. Quite creamy mouthfeel with strawberry and cherry flavours. Haywire Gamay Noir Rose 2010, BC ($23). Light salmon colour. Strawberry and cherry aromas. High acidity with strawberries, raspberries and cherry flavours. Very refreshing. We don’t come across a Gamay Noir rose, so this was nice. Gamay, like Pinot Noir is naturally a low tannin wine, with red fruit / summer fruit flavours. This is a very nice wine for the summer. Try with some crab or lobster. Blasted Church Rose 2010, BC ($17.99). This rose is a blend of Cabernet Sauvignon, Merlot and Cabernet Franc. Usually I expect a single varietal, like Pinot Noir or Merlot, so I was very interested to taste this rose. Very pale cherry colour. Nice strawberry aromas. Raspberry leaf, strawberry, and capsicum flavours. High acidity and spicy on your palate. Light body and long length. This wine packs a punch with 14.9% alcohol, so beware as you sip this one. Olivares Jumilla Rose 2010, Spain. Bright cherry colour. Light cherry nose. 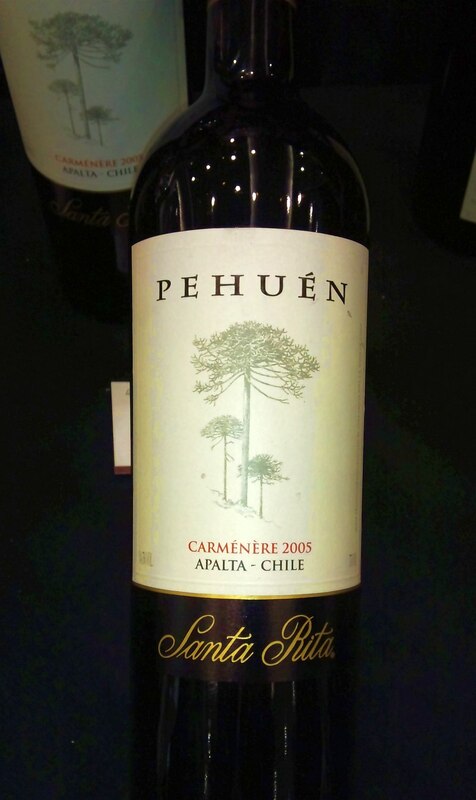 Light body with ripe red cherries and strawberry flavours. Medium acid and low tannins. Very refreshing. Highly recommended. Le Vieux Pin Vaïla Pinot Noir Rosé 2010, BC. Light pinkish salmon colour. Raspberries and strawberry fruit on the nose with a bit of raspberry leaf as well. Off dry with light body and medium acidity. Quite nice strawberry flavour with some almonds on the finish. The grapes for this wine come from one of the organic Kalala vineyards in West Kelowna. I wish all mothers a very Happy Mother’s Day! Wow, a whole year has just zipped by. I was really busy tasting lots of wines at all the fantastic venues here in Vancouver, as well as across the border at the Taste of Tulalip (which you should sign up to attend next year. It’s excellent). Thanks to WordPress for compiling my stats and letting me, and you, know these were my top 5 blog posts. Which do you think? The answers are below! 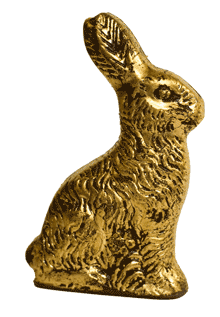 1 Chinese New Year, the Year of Golden Rabbit. Wine to serve? 2 Have You Tasted Spicebox Canadian Whiskey? 4 Caviar and Champagne for New Years Eve? 5 Where is Rioja and What Wines Can I Taste? I knew my Chinese New Year post was super popular as I watched my stats leading up to Chinese New Year hit the roof. Stay tuned for my wine selection for the upcoming Chinese New Year. My #2 post really caught me off guard. But I’m pleasantly surprised. Spicebox is an easy to drink whiskey, on the ice, or mixed in a drink. Check out the post. For #3, I was happy to see Lulu Island Winery, a local winery, located in Richmond, BC. They produce both grape-based and other fruit-based wines. 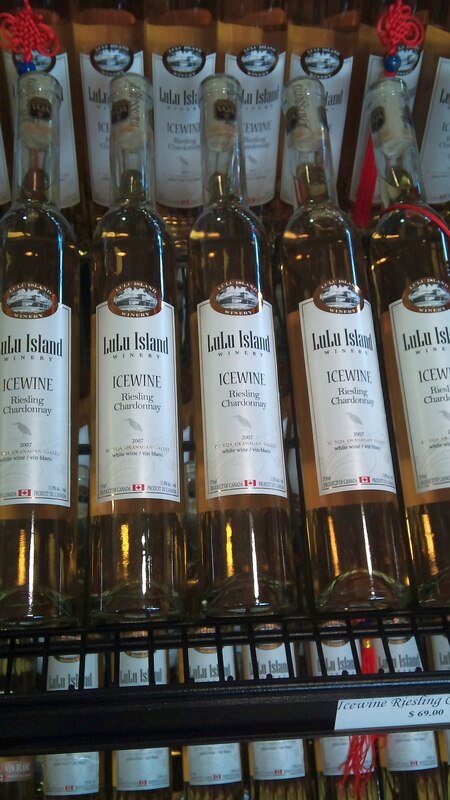 They also produce a selection of ice wine, so drop by one weekend to Lulu Island Winery if you live in the Vancouver Lower Mainland. #4 should be hot right now too, seeing that it is New Years Eve. I hope I helped many people figure out which caviar and Champagne they would like to nibble and toast with the family and friends. Wine is a social drink. And last, but not least #5, about the Rioja region of Spain. This article came out before the Vancouver Playhouse International Wine Festival. Spain was the Theme Country this year, and I think the Vancouver readership had a thirst for knowledge about this region and what to expect at the Festival. Stay tuned for my articles on Chile, as they are the next Theme Country for the Vancouver Playhouse International Wine Festival next year. Want a Champagne Icewine Cocktail? I was just browsing around on the web and I found this recipe for a champagne with icewine cocktail recipe and thought I’d pass it along to you. Although the recipe is listed as “champagne”, it really should be identified as “sparkling wine” as champagne is only from the Champagne region in France. Since this is a long weekend, you may want to make some tonight or on Sunday night with friends. Enjoy and Happy New Year! Fill champagne flutes 3/4 full of sparkling wine. Add a dash of icewine to each. Drop in a cherry. Caviar and Champagne for New Years Eve? Last year I made this original post and thought that it would be of interest to you for this upcoming New Years eve. I’ve added some additional text and champagnes for you. Hopefully you will be able to find these more recent sparkling wines. I recently watched The Social Network and thought if I was Mark Zuckerberg, what could I have for New Years eve with my friends? I think the ultimate indulgence would be sturgeon caviar from the Caspian Sea and vintage French champagne. 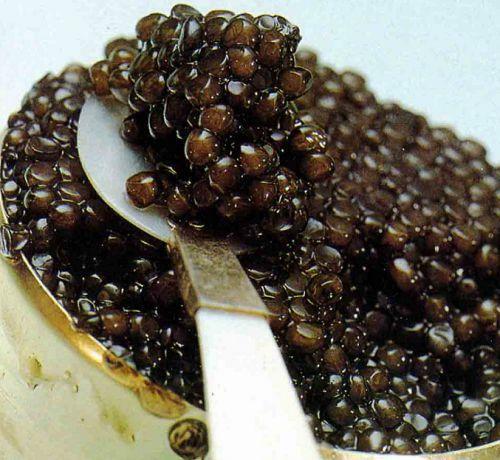 The four most prized caviar are the Beluga, Osetra, Sevruga, and Sterlet. I did a quick check on the internet and saw that the price for Osetra caviar is around US$500 for 2 oz. 2 oz of Sevruga caviar is US$400. 2 oz of Beluga caviar is US$350. I’m not a caviar expert, so I checked with www.igourmet.com. This is their recommendation: “To allow the delicate flavor of the caviar to come through, serve the caviar on a plain base, such as the traditional buckwheat blini. Plain crackers, toasted brioche, or challah bread are all perfect substitutes. You can then top with a small dollop of crème fraiche on the blini, then add the caviar. For the purist, just enjoy the caviar by the spoonful will no adornment, pressing the eggs against the roof of your mouth with your tongue until they pop. If you cannot afford sturgeon caviar (yet), you can try salmon or trout caviar this New Years eve. Being in Vancouver, I think salmon caviar should be really easy to find. Assuming you have your 2 oz of beluga caviar to share with a friend(s), which champagne to enjoy it with? Most champagne is non-vintage. It is a blend of wines from different years, bottled and fermented a second time. The blending of different vintages allows Champagne houses to design a house style, which people enjoy. James Bond‘s favorite champagne house is Bollinger. Some champagne is labelled “Blanc de blanc” and is made solely from Chardonnay grapes. Other champagne may be labelled “Blanc de noir” and would be made with Pinot Noir and maybe Pinot Meunier. 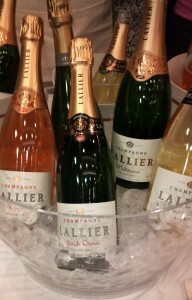 Blended champagnes are usually a mix of wines from all three grapes varieties. From what I’ve read about champagne and caviar pairings, the saltier the caviar, the younger and fresher the champagne to pair with it. The bone dry finish of a champagne can stand up to the complex oily, fishy and salty flavors of caviar. As a champagne ages, it mellows and brings on it’s own flavours and character, so choose a less salty caviar. There are many more. There was 101 sparkling French wines listed from my query. Some are not Champagne from the 101, and could be a cheaper alternative. A Cremant would be something you may want to select. Cuillier Pere et Fils, Brut Selection (France) Pinot Noir / Chardonnay NV. Fine bubble with green apple and pear aromas. Fine bubble with lemon and pear flavour. This wine was like enjoying a fresh pear. Very tasty! 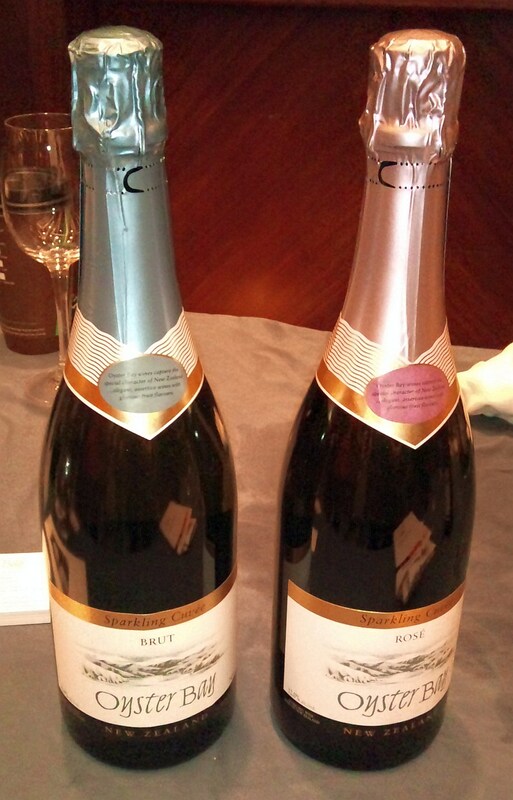 Codorniu Sparkling Brut (Spain) Pinot Noir NV. Light orangy pink in colour. Light strawberry aroma. Very bracing in your mouth, with strawberry and raspberry flavours. Villa Rinaldi Rose di Barriciaia 1998 (Italy). This is a Pinot Noir based sparkling wine that has some oak aging. Peachy, orange colour in the glass. Nutty, lemony and creamy / lees on the palate. Very small, fine bubbles. Roederer Estate L’ermitage 2002. This sparkling wine is made by the famous Roederer Estate Champagne house from France. 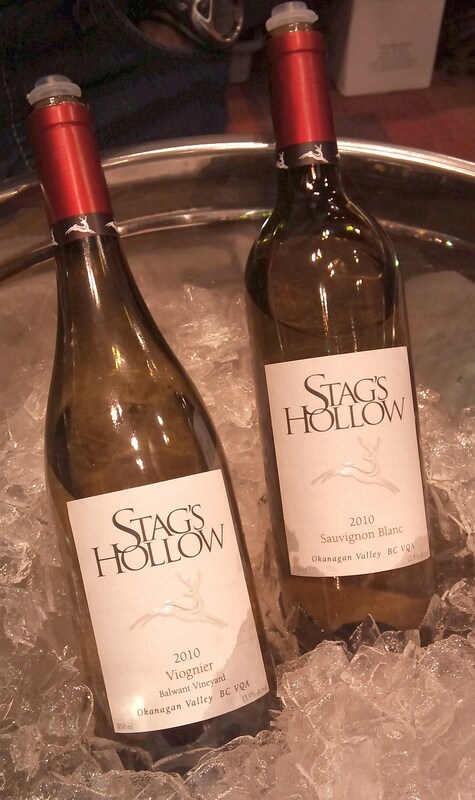 It is a blend of 52% Chardonnay and 48% Pinot Noir. Pale lemon in colour. Toast, lees, and caramel aromas. Tiny bubbles in the glass. High acidity with lots of citrus flavour and some toastiness on the finish. Nice. Lucien Albrecht Cremant d’Alsace Brut Rose, France ($24.99). This Cremant is produced from the Pinot Noir grape. Watery pink colour. Light strawberry aroma. High in acid with small bubbles. Dry with apple, cherry and strawberry flavours to tickle your tongue. Elegant. Easy to enjoy. Enjoy and have a prosperous New Year! I love French food and the French wine that goes with it. I received this note about an upcoming Burgundy cuisine and wine lunch at Bistro Pastis on September 19, 2010, so I thought I would pass it along to you. As I see below, you will get to enjoy some Champagne, along with some very nice Chardonnay (white Burgundy) and Pinot Noir (red Burgundy). Maybe you will see me there too! Bistro Pastis and Marquis Wine Cellars invites you to a Sunday lunch starting at noon on September 19th. What better way to start your Sunday than to sit down to an exquisite three course meal that has been paired with a great selection of 8 fabulous wines from Burgundy for only $99. Don’t miss out on this Fantastic Food and Wine Sunday Lunch à la Française. For reservation, please call Marquis Wine cellars at 604-684-0445.